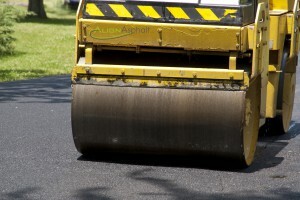 Align Asphalt possess a wide range of specialised equipment to complete any construction project small or large. With over 15 years experience in the Asphalt business we believe that the foundation works and road base preparation are the key elements to ensure longevity of your driveway. When building our driveways we pride ourselves on using only top grade roadbase. We ensure all drainage and kerbing requirements are taken into account in order to provide you many years of service with minimal maintenance. We firmly believe that our customers should receive the best quality from start to finish of any project. We know that you want a product and service that will stand the test of time. That’s why our reputation is built on providing high quality, durable work with outstanding customer service. Contact us to now discuss your requirements and for a prompt, FREE, no-obligation, on-site measure and quote. What’s more we will provide FREE friendly advice, great suggestions and outstanding customer service. Call us on 0457 202 342 to discuss your asphalt construction needs or send us an email via our contact page.